Think of Us as Guides | Farah Roberts Ltd. When people travel to new and different places, they will often use a guide to help them get to where they want to go. In the exploration of the US, when the west was a vast wilderness, explorers used native guides. If you are a fisherman exploring new waters, you may hire a local guide to get you to the right part of the stream where the fish are found, and what fly or bait to use. When traveling to Europe, you might go on a Rick Steves tour. For many people, the legal landscape is a new and different place - unlike any place they have ever visited. There are unknowns: The language is different. The protocol is different. There may be tiger traps or other pitfalls. As lawyers, we are your guide. If a loved one has died, we guide you through the process of settling the estate and if necessary, navigating the court system. If you are buying or selling a business or real estate, we guide you through the transaction, pointing out things you might not have considered, and steering you around potential problems that could occur in the future. When you are preparing for possible disability and your ulitmate passing, we guide you through considering your options, and then translating your wishes into writing. 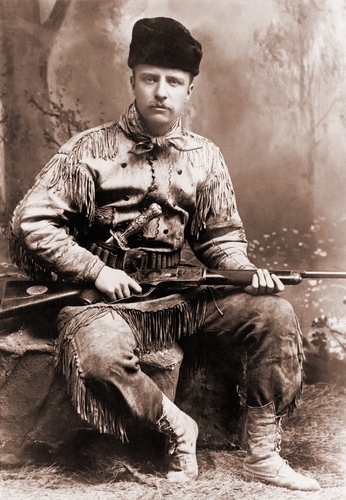 We might not wear buckskin or a guide’s hat like Teddy Roosevelt up there, and none of us will ever serve as President of the United Sates, but we very much fill the role of a guide. We provide legal services to individuals and their businesses, primarily in the areas of Estate Planning (will, trusts, & powers of attorney), Probate, working with Small (closely held) Businesses, Medicaid Planning and Real Estate transactions.